As was made obvious by the trailers and videos shown so far, The Legend of Zelda Breath of the Wild is trying a whole bunch of things to change up the Zelda formula. 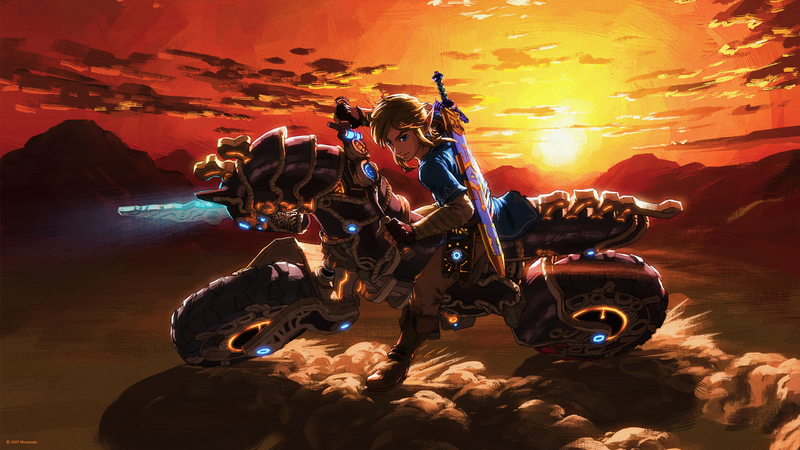 The increasing linearity has been rolled back, leaving Hyrule as a world you can explore any way you want. The focus on a set of main dungeons has been toned down, leaving hundreds of optional shrines in their place (for the most part). And with the increased focus on survival, it’s clear that Hyrule won’t be such an easy to explore place this around. But it seems like the open world and content won’t be the only major change to the Zelda formula in Breath of the Wild. Why? Because just earlier today, Zelda director Eiji Aonuma has announced that the game will also be getting paid DLC later this year! 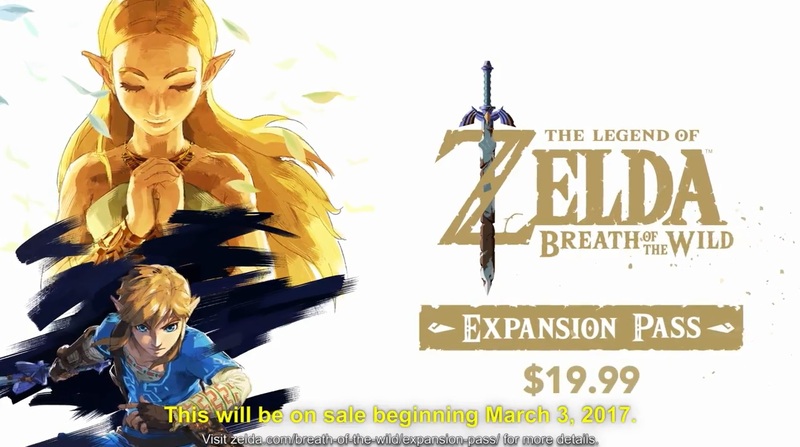 This DLC (called an ‘Expansion Pass’) will cost $19.99 and be available to buy from March 3rd 2017. Well, quite a few things really. Because the Expansion Pass is not a singular DLC pack. 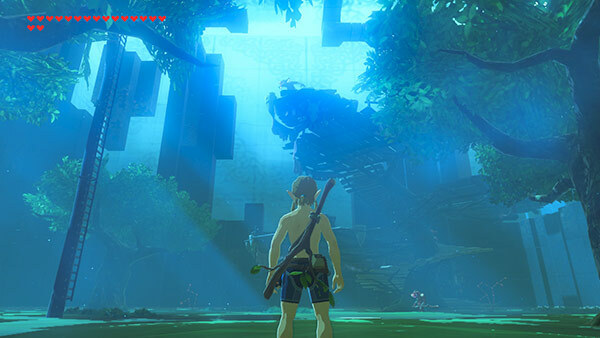 Instead, it acts like a sort of ‘season ticket’ for extra game content in Breath of the Wild, and lets the owner access different sets of content released during the year. As well as an ‘extra map feature’ of some sort. And that’s not all. Oh no, there’s also an update planned for the 2017 Holiday Season too. What does this one come with? So yeah, it’s basically three DLC packs for the price of one. Not too bad of a deal to be honest, especially when the price is pretty reasonable in general. 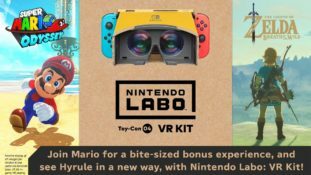 After all, Mario Kart 8’s DLC packs come to $11.99 when bought together, and Super Smash Bros’s DLC can cost nearly double this amount. But Nintendo made a small mistake here. Why? Because as you likely noticed by now, they announced Breath of the Wild’s DLC before the game was released. And well, when a creator does that in the video game industry, it’s pretty much a one way ticket to becoming an internet pariah. So at least a vocal minority are now quite upset that the game’s DLC has been announced already. Especially given how Hard Mode is one of the features included in it or how you can’t buy the packs separately. But still, what do you think about this? Are you happy to see a main series Zelda game with DLC? Or do you feel like Nintendo should have waited till the game was out to post about this? Have your say on the matter here or on social media today!